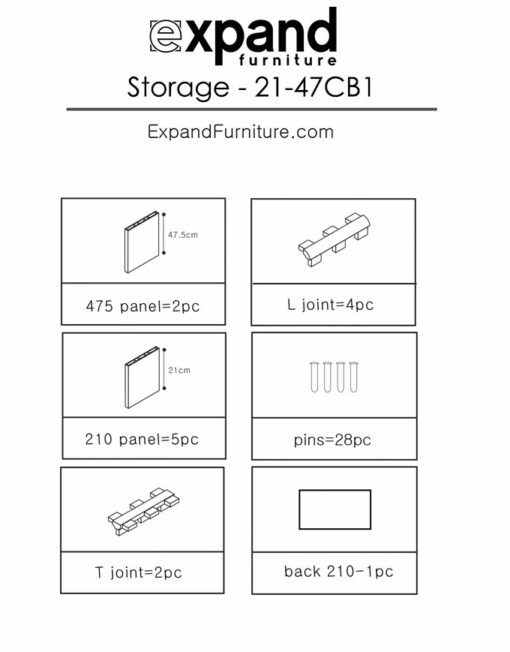 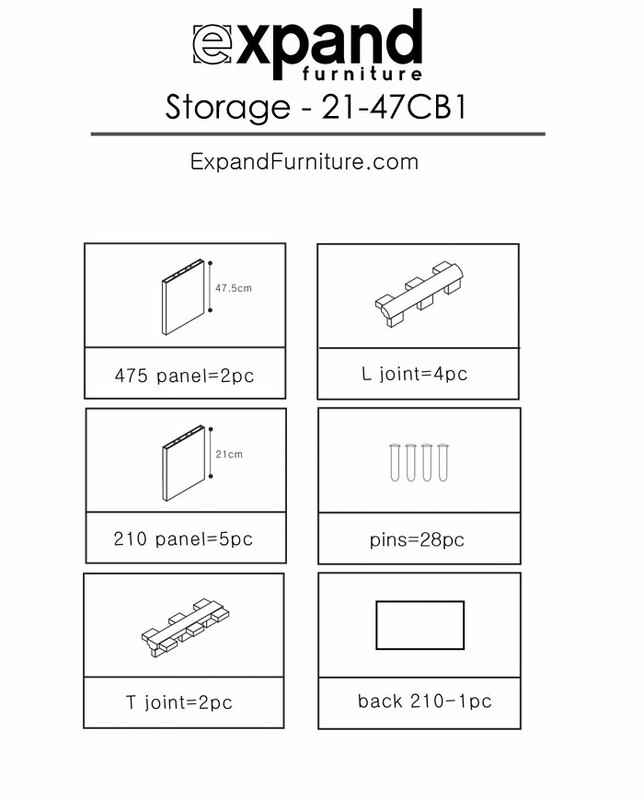 The 21-47 modular bookcase storage system provides ample and reliable storage space for all your favorite reads. 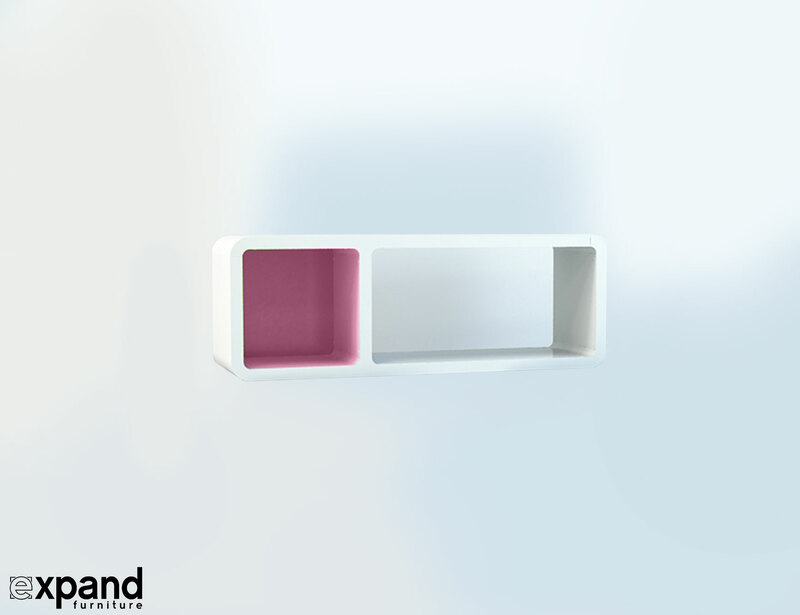 Like our other modular shelving and storage series it features clean lines, attractive round corners and is easy to put together. 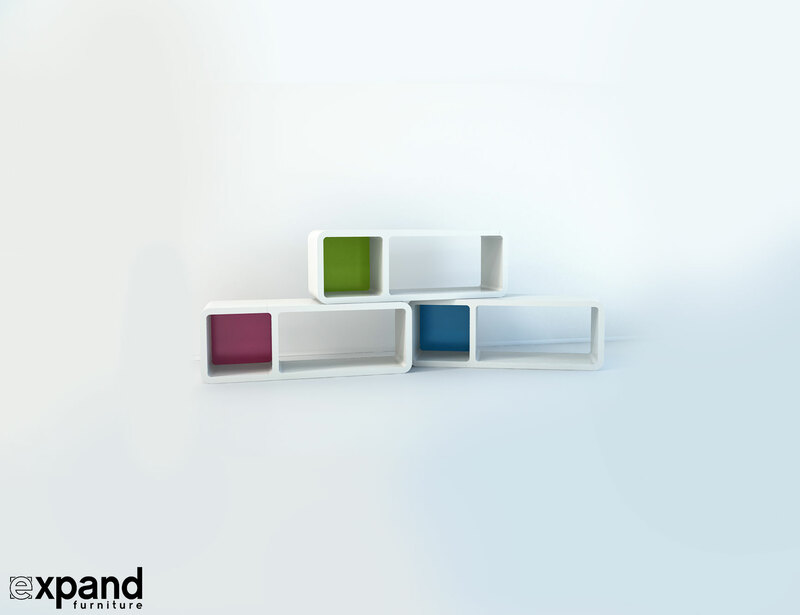 The entire series consists of modular units that take versatility to the next level. 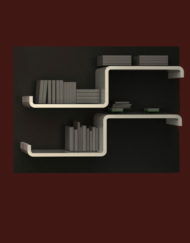 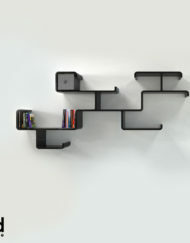 The same goes for this beautiful modular bookcase storage shelf. 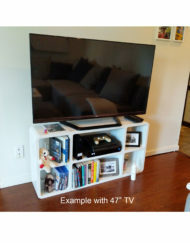 It all fits together with no tools necessary, just your hands. 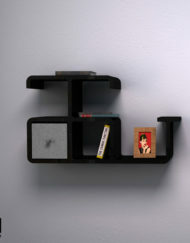 It looks great horizontal to display books, comics, CDs and more. 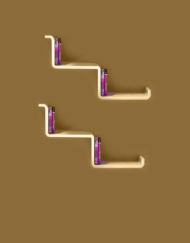 Or place it vertically and show of your orchids or other flower arrangements. 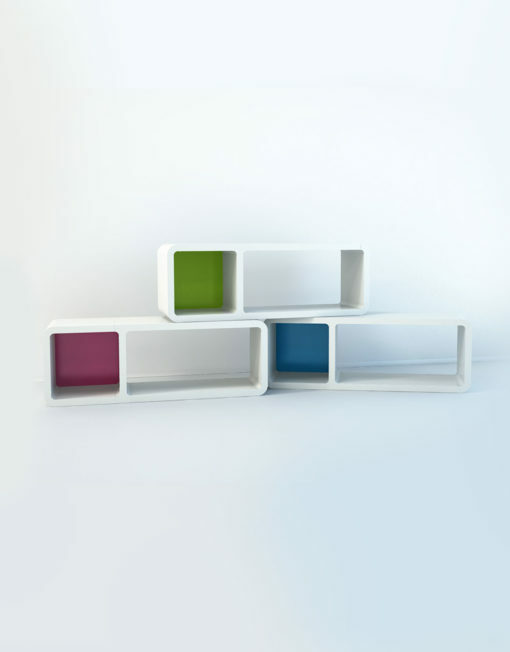 The modern bookcase system is available in classic white and you can order it with your choice of Green, Blue or Dark Pink. 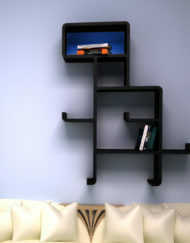 The panels adds a pop of color that will catch your eye again and again. 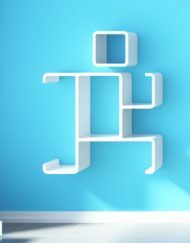 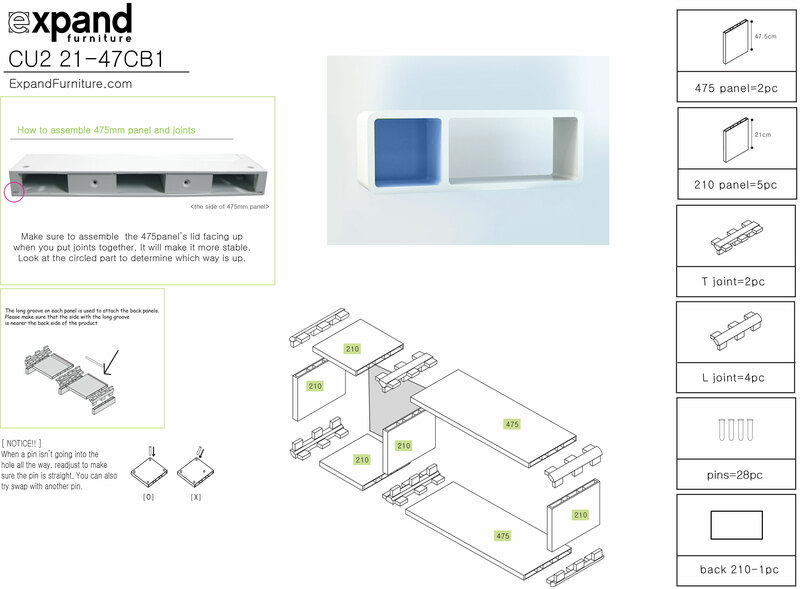 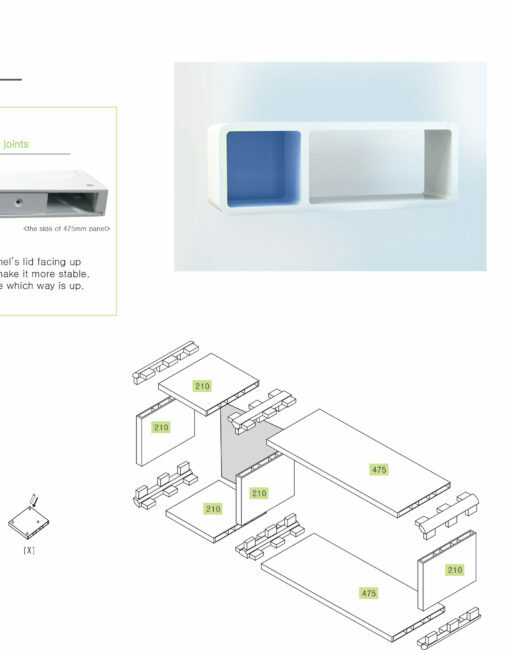 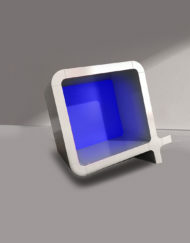 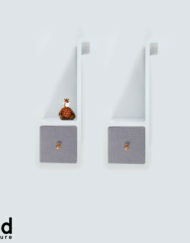 Use it on its own or combine it with Expands other modular pieces to increase its functionality. 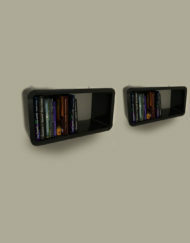 The modular bookcase system definitely is a fantastic way to display Shakespeare, Poe and Co. Or use it as a Slim TV stand. 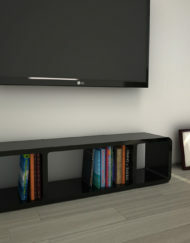 The 21-47 modular bookcase storage system looks great in any room. 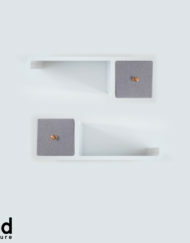 Regardless if you want extra storage in your living room, your kitchen for spices and coffee filters, the bathroom for toiletries and personal items, your kid’s room to display a Matchbox cars collection, or your home office to hold DVDs, discs and staples, this little all-­rounder does it all. 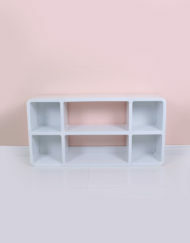 Lightweight, yet sturdy, with a sleek design, crafted from non­toxic materials this domino like shelf will find a place in your home. 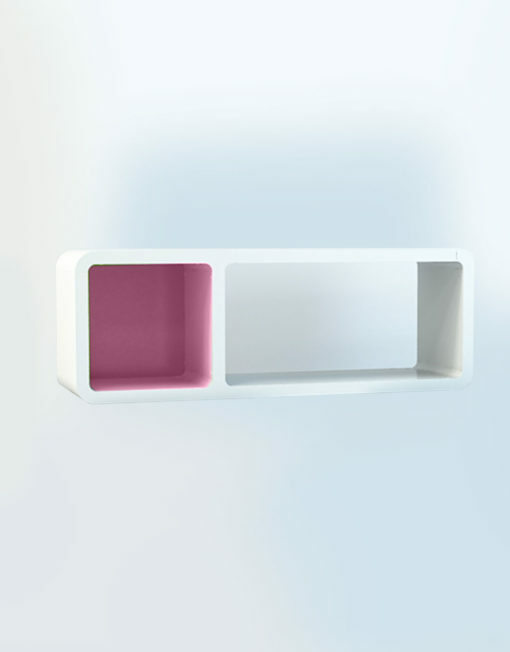 The backdrop which is available in blue, pink or green add a splash of color, if you want. 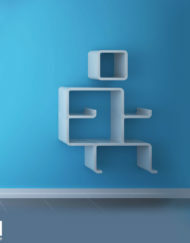 Take it apart to create a single cube, a storage rectangle, two shelves or anything else you can think of. 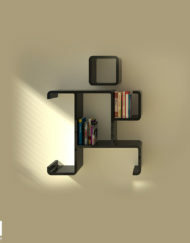 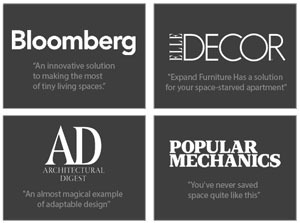 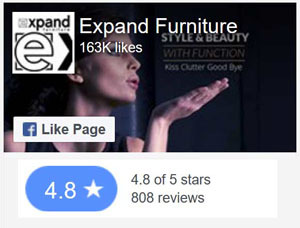 The playful versatility of Expand Furniture’s modular series is what makes it so attractive. 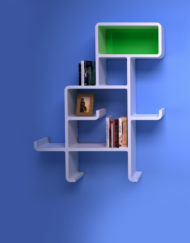 This modular bookcase looks great on its own, in a group of two or three or even with any other design of our modular shelving series. 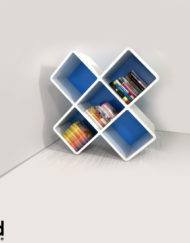 If you like the modular storage bookcase you might want to check out the Cube or our 3×3 bookcase storage system. 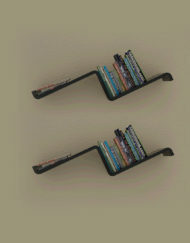 They are just as fun and just as versatile. 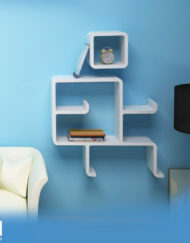 The decorative bookcase storage unit measures 80.5 cm (31.7in) in length and 29 cm (11.4in) in height.